Home » Who says 58 year olds can’t get a job? I’ve been following your blog and advice for years. When I was laid off from a big pharma company, I panicked naturally from the pressure of needing to meet my financial responsibilities. However, I took a breath, adjusted my thinking and went to work on my next opportunity. Using your advice and methods, similar to Donald, I did land my next and current position that I have been in for 2 years. During the search process, each company that I identified and researched and presented to offered me a position. The first one I accepted was my right now job. Then I found the “it” job that I have now. For those non-believers, your methods work. 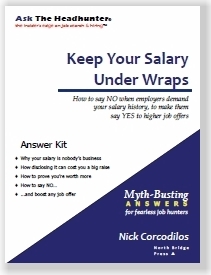 I even used your “How to Work with Headhunters” for one position. Keep up the good work. My next job will be joining you on the beach! PS: I’m celebrating the 31st anniversary of my 25th birthday! Every newly-minted college graduate should read Andy’s story and learn from it. I doubt that most of them learned these strategies from their professors. The exclamation point is intended to reveal my ire at the term and the attitude of some employers. I think that comes through. I use terms like that while shaking my head and rolling my eyes. Sorry if that didn’t come through to you. I meant no offense. Thanks for your very kind words. You’re proof that delivering profitable work and “showing the green” can trump the grey. My compliments to you AND to your “it” employer! You made my day. ‘ve been in my current job almost 20 years, still like it a lot, and have a great boss. But I needed a change and wanted to do more writing and critical thinking and less research. I’m probably older than most people thinking about job changes. About a year ago I applied for and was offered the job of my dreams. A key person in the chain of command hadn’t been hired yet, and since much of my work would have been under that person, I turned the job down. I did the right thing opting for the secure job I like, and I learned a really valuable lesson in the process of those three interviews. If your age doesn’t matter to you, it probably won’t matter to anyone else. The people who interviewed me reacted to my energy, not numbers. A very wise speaker once said, “My age is none of my business,” an adage I hold close. Employers make their life harder. It’s about ability stupid. It’s hard enough to get that right without complicating it with stereo types. @Donald…I’m an old timer..I’m 74, and picked up my job at 69. Job hunting over 50 is just a bit more challenging, over 60 character building, but at least not bogged down by the heavy lifting those old timers of 100 have. 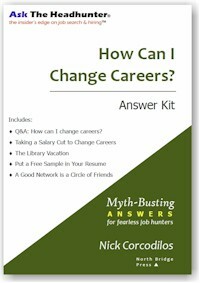 For you job hunters over 100 my apologies for calling you old timers. Of course, he landed this job and it comes as no surprise. I congratulate the employer too for recognizing talent. Today business people who want the job done and done right the first time around know men (and women) over 45 are far more intelligent, sophisticated, skilled, and serious than their younger peers today. I would take a 70-year-old executive secretary with 35 plus years’ experience over some 25-year-old multi-degree simpleton who wants to sit all day on Facebook, Twitter, Pinterest, Instagram and whatever else we view as time wasting amusement largely for simpleminded people she can find. I know, as a fact, we will not look at anyone who is not deadly serious and who is clearly addicted to technology, especially a slave to social media. In my opinion, a business or businessman worth his weight knows his employees represent him and his firm. I want knowledge of proper etiquette (both social and business) and someone that is ethical and reliable with a mind. My business partner and I just agreed that we would seriously consider people of those qualities mentioned above (largely meaning those way over age 45) when hiring. As Nick said, this one requires no comment. It is ripe for personal comment and congratulations. As a full-time educator and part-time piano teacher I have found it hard to adjust to the “new” way of finding employment, especially for us babyboomers. I remember times when all it took was a “skill” to get a job and now it’s taking numerous tests. The world has changed and us new to the “tech world” better get used to it or be left behind. I am so glad that he got the job! 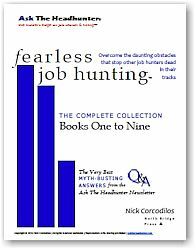 Nick’s post shows that there is at least one employer out there who decided to be sensible and let the letter writer show him what he could do rather than relying upon a battery of psycho tests, personality tests (though the personality tests can be useful, but in a self-assessment way, or for a business consultant, but not as a screening tool), computer software, algorithms, and other screening tools. At my current job, there is a full time opening. They posted the job, and I heard from one of my colleagues that there were 87 applicants (though I don’t know if there was any preliminary screening done by a computer). He said that they were able to automatically eliminate 6 applicants because they didn’t meet one or more of the requirements, including 2 internal applicants (meaning wider college internal applicants–both of them lacked the necessary master’s degree(s) and experience–one is currently working in IT and has complained to the dean about being eliminated. The dean told her “this is a professional reference librarian position–we REQUIRE applicants to have either an MLS or an MILS (Master’s in Library Science or Master’s in Information and Library Science) degree from an ALA-accredited institution, a minimum of three years’ full time professional work experience in reference, have experience in web design, and more. You aren’t even close.” This did not go over well with the IT person, but the college administration is backing our dean. Two of my colleagues are applying for it. I’ve heard that they’re going to interview 8 people, including the 2 internal part time reference librarians, and that the way they handle the interview is to give the interviews “problems” so they can demonstrate how they’d solve them. When I heard that, I asked the dean and one of the other full time reference librarians if they followed Nick’s blog. I got blank looks, but I smiled to myself because that is exactly the kind of interview I’d want–give me a problem or problems so I can show you how I’d solve them. One of my colleagues told me that she’s nervous about it because she’s never had an interview like that, and I told her all of the ways this is the BEST kind of interview. And I told her to think about every weird patron and question and plan how she’d answer and deal with them. That’s her interview. I’m a volunteer director and the organization is hiring a summer student. I’m definitely using the ATH website and blogs ideas to interview the future candidates. I, too, was 58 when I lost my job. At 62, I’m surviving my survival job quite well. Normally, I stay away from Fox News as far as possible, but a link led me to their business reporting website, so my unconscious mind reasoned that not even Fox News could do too much damage to business reporting, so I carefully read the post. It seems that companies and corporations have discovered that they need the experience and “acumen” of “mature workers” after all, and have begun rolling out the welcome mat after unceremoniously hanging up the GO AWAY sign in the help wanted ads for the last twenty years. Please bear with me while I briefly recap events that led to our age-range’s improved negotiating position. December 2007: The Great Financial Fiasco begins. 2008: Things become noticeably bad. 2010: Manpower graphs that jobs really did dip below the zero mark in 2009. 2011: Studies show that the effects of long-term unemployment lower life expectancy. 2012: Research shows that the longer you keep working, the longer you live. 2013: Old people are recognized as vital to the success of companies and corporations. 2014: Old people take revenge by retiring early, not because they have to, but because they refuse to work for unappreciative companies and corporations (unless the compensation returns to its original trajectory—at my projection, at least 5% annually from whenever the compensation was interrupted). Back in the 1960’s, when I was an honorary hippie, they called radical people our age Gray Panthers. Negotiations in 2014 should prove interesting . . .
At any rate, things are looking up for people in our “age-range”. Don’t give up hope, because one thing I’ve learned is that relief comes approximately five minutes after you have given up. So don’t give up. Like Nick said once, “There may be 999 no’s, but it only takes one ‘yes’.” That’s what kept me going. I just love all the posts on here. Good stuff as it gives hope and a reminder to what really matters in a job hunt-talent! Is there an template you used for how you would approach the job? Sometimes, It is reverse age discrimination. My dad retired (pushed out with a big bonus to pension calculation) from the federal govt at 62 and got a job in the private sector, survived 9 layoffs, decided to retire for good at 85. My mom also worked for the federal govt and retired at 72. She was mostly used as a show piece as a model “mature worker” and pleaded for her to stay on to 75. this was years ago You go figure. “There may be 999 no’s, but it only takes one ‘yes’.” That’s what kept me going. Thanks, I’ll remember that one, it’ll help to keep me going in my search! 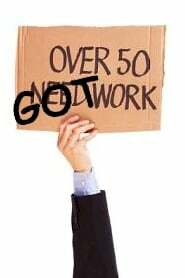 Hitting the big 60 this year, I can say that us older folks are exactly what many employers are looking for. While many college grads and other younger generations may have more tech skills, our people skills are far superior. If you have sales skills and people skills you will blow away many of these new “high tech” youngsters. @Anita. I’m not going to say one’s age when you get up there isn’t a factor. It is. I’m nearly 76, so I can opine with some experience behind me. But age isn’t always a deal breaker and your challenge is to find out where it isn’t. for instance I’ve been employed where I’m at for over 6 years and got this job when I was nearly 70. I speak from experience. they are there. 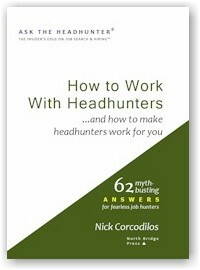 Suggestion 1 is to dig into the archives of Ask The Headhunter, & go beyond this one discussion. There’s a wealth of information on age, but that’s just an informational detour. Your best bet for landing is via networking. Networking is the way to go for job hunting per se, but if you have to deal with age..the reality and your perceptions…networking is THE valuable tool for the older job hunter as you need to sell yourself to people, not input to websites and career pages. Suggestion 2. With the above research done, start applying it to networking your way into chosen companies…and stop standard operating procedure applying to jobs. You’ve already tested the market on job applying and you know that’s not working. Remember the definition of insanity…doing the same thing over & over & expecting different results. You’ve tried the traditional way, just about everyone is doing & it’s not work. You’re long overdue for trying a different approach. You’ve got nothing to lose and everything to gain. I’ve had several jobs after 55, and all via networking. And don’t say you don’t have a network, everyone has one. Start from there & build it up. Stop looking for jobs, start looking for companies. I know you said you’ve “applied” to all the Big Banks. If you find any that are appealing forget their wish list & forget you applied. Do some research, figure out who/what department where you can add value, capture that value and find your way to the hiring managers & use that value proposition. How? Call them up, email them, snail mail them. make your pitch. this may seem very unappealing, but trust me, I’m a 10th degree black belt introvert. If I can do it, anyone can. It’s an acquired skill. Suggestion #3. You said all the BIG Banks, by pass that and aim at the smaller banks, financial institutions. Small is better for networking. Suggestion #4. 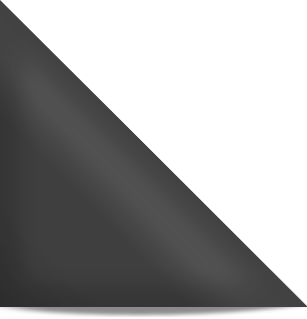 Learn how to deal with recruiters, learn how recruiters work…then be your own recruiter. Good recruiters are good networkers, that’s why they are good, and that’s why they succeed. @Anita: Don said it all! Okay, 58 year old white male 100% Service Connected Disabled Veteran and told by the VA and FED that I am allowed to work has been looking for a job since graduating college in 1995 at 38 years old. Sad but true, I am the person and I am sick and tired of being told I am young when getting a job is like a greeter at Wal Mart or a Janitor. Give me a break and help the older people don’t just try to sell them BS all the time! Well…isn’t it nice that one of us over 50 crowd “got work”! when I turned 51 I lost my last job I had for 3 years to a young foreigner here a visa, i am 58 now and never got another FT job in my field, I lost my home, my pets, my furniture, friends …I keep trying and trying to get work, I actually went on an interview this morning? same questions asked “so tell me why you have not had FT work for so many years”? my answer is truthful because we live in an ageist society as being over 50 is like being a felon, a junkie, an outcast,or a F*&^k up!…. no one will except the real truth???? I am so stressed out so tired of trying and trying to tell people why i’m in this no win end of the road situation? because, if they just excepted the truth that would mean someone has to help me out here!!!! !…and folks today are just not willing they don’t care? I am 59. College degree and 27 years work experience, mostly government. Unemployed for all but 6 months of last 9 years. Haven’t worked for 4 years. Maintained professional skills as government volunteer. Lost home, spouse, animals (owned a horse farm) and I’m sick of never even getting a reply from employers. My resume is excellent and my skills are current. Try signing up with temporary agencies. Agencies like mature, dependable workers with good skills. Many times temporary assignments are long-term and temp-to-hire. Also, try a functional resume over a Chronological. Be encouraged! Bingo, I am 58 years old, Geologist, and lost my job due to the downturn (Oil price crashing). I have been unemployed for 18 months and I must have sent 250 applications and very few replies. I need a job because I still have a mortgage and costs and I am chewing into my savings which are not a lot. Any ideas? @Dave. Yes, ASAP get on the main site of A THE Headhunter and dive into the archives. By now you’ve overdone the application route & there’s a lot of good advice about going directly after a company. You’ve got nothing to lose & everything to gain by going at this a different way.